Shown above are key members of Holmesville Dairy (L to R): Tim Heiring, Genex A.I. technician; B.J. Jones, D.V.M. ; Tim and Travis Holmes; and Cody James, an employee. 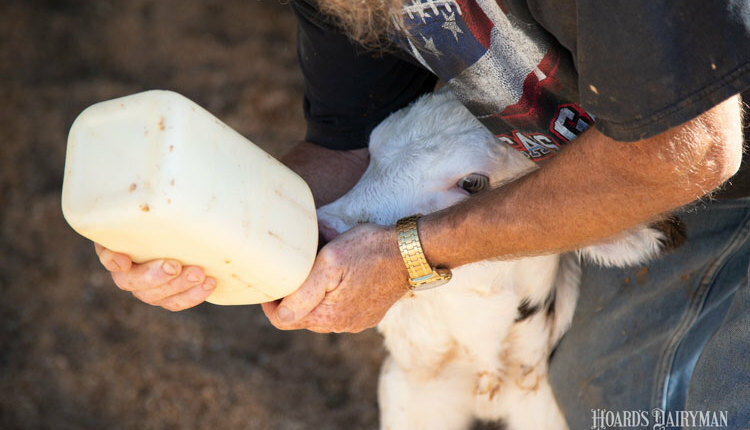 “Nutrition is a very important part of our reproductive program,” said Tim Holmes from Holmesville Dairy near Argyle, Wis. “We feel having one person who feeds all the cows, including the prefresh, postfresh, and heifer groups, is important to keep a consistent ration. 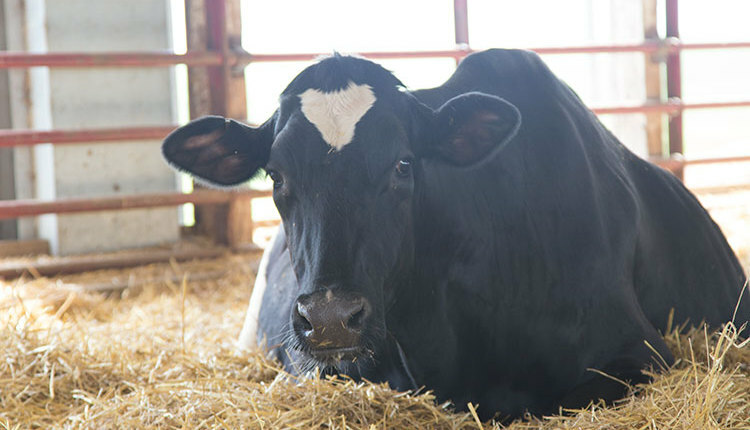 Keeping good-quality, fresh feed in front of the cows has helped us keep the cows eating,” explained the multi-year Platinum winner of the Dairy Cattle Reproduction Council’s (DCRC) annual awards competition. Harvest feed crops such as alfalfa, brown midrib (BMR) corn silage, and cob meal at the correct maturity and moisture. Feed mold binders in lactating and dry cow rations throughout the year. No empty feedbunks . . . feed for high-refusal rate . . . and push up feed very often to ensure a consistent rumen pH. All feed refusals get cleaned up every day. The dry cow program includes the close-up group with plenty of head gate (feed front) space. We have a spacious fresh cow group with temperature and BHBA (β-hydroxybutyrate) monitoring. Even with these areas of emphasis, overcrowding in the close-up dry cow pens remains a challenge for us at certain times of the year. 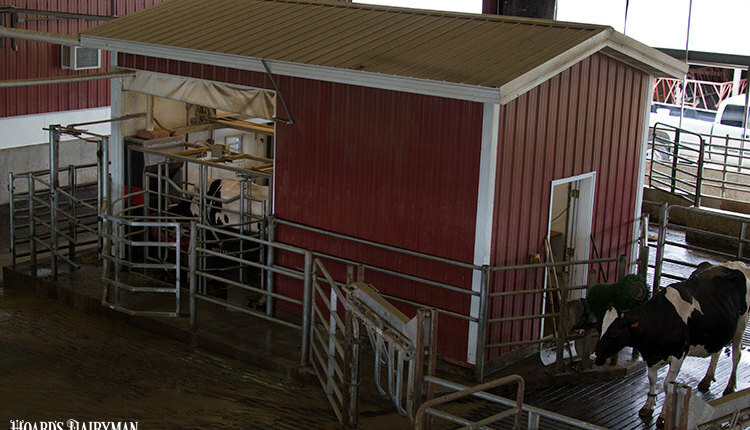 Rollin’ Green Dairy, Brooklyn, Wis.: We try to manage everything nutritionally to create as smooth of a transition as possible from the dry period to lactation. We manage feed changes the best we can by sampling forages often. We monitor urine pH and test the feed for mycotoxins annually. From a management standpoint, we never overcrowd both the prefresh pen and postfresh group. The more bunk space, the better. Another advantage to postfresh success is the small group/pen size. The pen is easy to manage, and the cow is only away from her pen for a half hour at most. 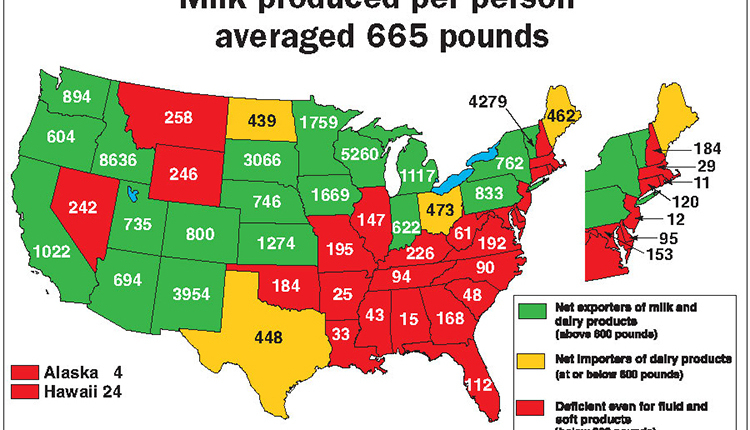 Since the reproduction has improved, there have been fewer fresh cow issues as well. I will not keep a cow for a long dry period anymore. Those are usually the problem cows at freshening. We manage our prefresh diet with both an anionic product and low-potassium grass hay. 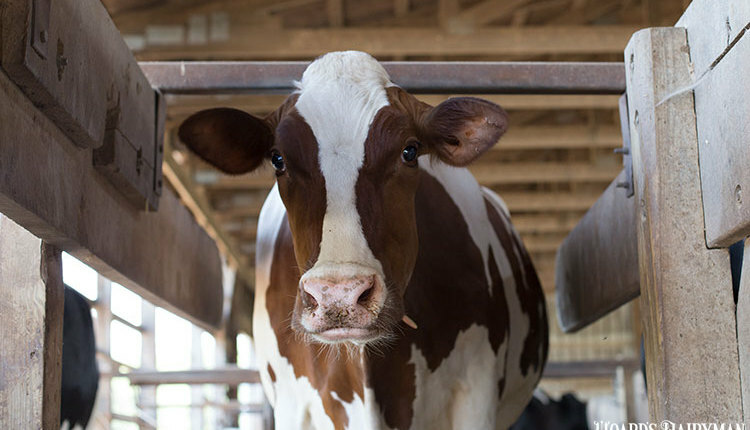 Postfresh cows are walked three times per day to observe for cud chewing and overall behavior. Blood ketone levels are sampled at five days in milk (DIM). This test is an indicator to begin propylene glycol treatment and/or watch them close and call the vet if the number gets very high. 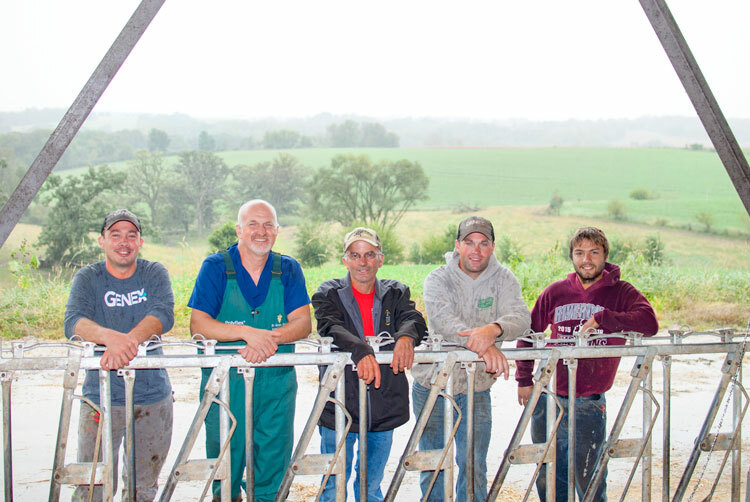 Schilling Farms, Darlington, Wis.: We believe in a team approach for our reproduction success. We work closely with our local Vita Plus dealer, Spensley Feeds, and their nutritionists, John Wienkes and Mike Van Schyndle. We keep our rations the same unless the cows tell us we need to change something. Always feed what fits the best for your dry cows and prefresh cows, not just some feed you need to use up somewhere. We add Reashure, yeast, and Ultrachlor to our prefresh base mix to help on ketosis and subclinical milk fevers. The dairy does not check urine pH. It’s all about dry matter intake. We use FeedWatch to track intakes. We feed a basic dry cow ration with mature cows and heifers in one group. Three weeks before calving, cows and heifers are moved to the prefresh group. Body condition scores are very important to watch; we do not like to see fresh cows lose more than a half a point of body condition in the first three weeks of milk. If they do, we need to address dry matter intakes. If we start to overcrowd the prefresh or postfresh cows, we will see a few more cases of ketosis and subclinical milk fevers. We monitor dry matter intake on the postfresh pen, and if we stay at 48 pounds of dry matter intake at 14 DIM, cows transition very well. 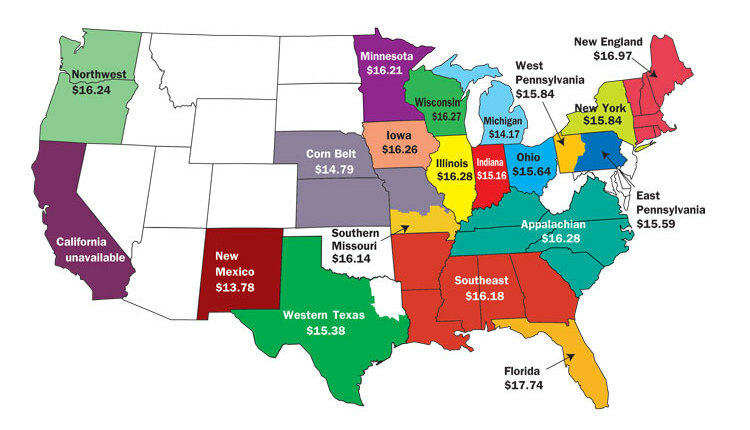 If we drop below this 48-pound threshold, we see more issues with fresh cow health. Seidl’s Mountain View Dairy, Luxemburg, Wis.: For any breeding program, nutrition is very important as everything starts there. Prefresh is the most important group. We feed a one-group diet throughout the dry period. Cows don’t like change. Our ration consists of corn silage, some haylage, straw, plus dry mix for the ration. This keeps the rumen expanded to maximize intakes. After calving, cows are moved to a fresh diet adjusted for easier digestion and cows take off faster. Victory Farms, Milbank, S.D. : We have tried to use more on-farm forages to maintain ration consistency. This not only optimizes rumen health, it also controls feed costs.